WELCOME TO THE NESTLE INN! 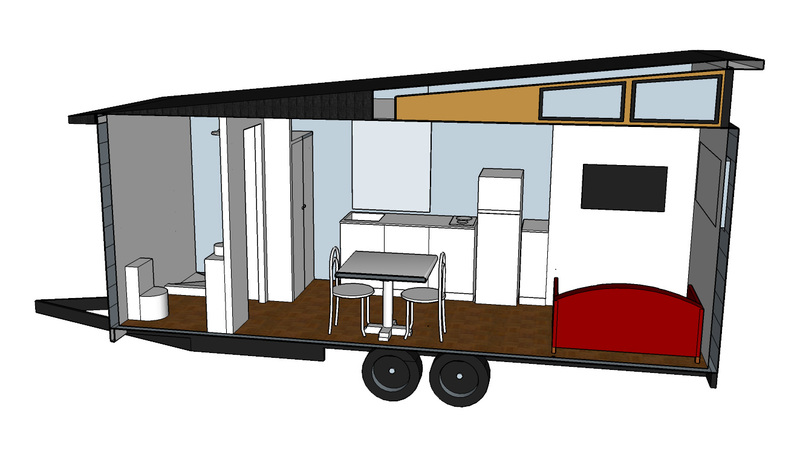 An alternative design, the Nestle Inn makes great use of space, especially with its elevated roof design over the living / fold down bed area and central kitchen. With the bathroom located at one end, the Nestle Inn's galley-style kitchen is roomy and perfect for those who love to cook. For maximum use of space, the TV is located on the underside of the fold down bed. Simply push the couch to the side to pull the bed down, and you're all set to 'Nestle Inn' for the night! 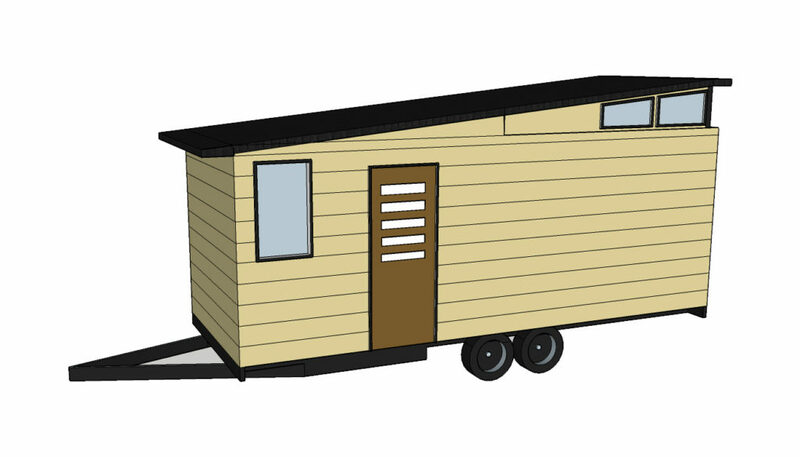 Have any questions about Tiny Homes? Contact us today at no obligation.